English: McWay Falls in Julia Pfeiffer Burns State Park, Big Sur, California. 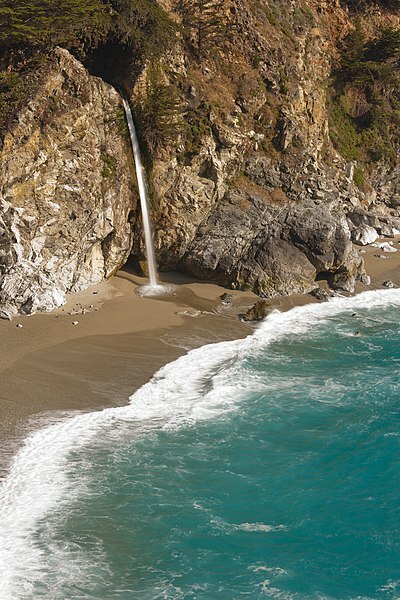 Français : Les chutes McWay (McWay Falls) dans le parc d'état Julia Pfeiffer, à Big Sur, en Californie (États-Unis). This image has been assessed under the valued image criteria and is considered the most valued image on Commons within the scope McWay Falls .